Live updates from the courtroom below. The final jurors were selected Thursday in the high-profile murder trial of Chicago Police Officer Jason Van Dyke, though questions still loom over whether or not a jury will even be used. The two jurors selected Thursday were a white male nuclear engineer in his 30s, and a woman in her 30s. The man said he had seen the dashcam video of Van Dyke shooting Laquan McDonald and said he thought the officer "went too far" but would be able to put that aside in the trial. The woman said she had not seen the video nor discussed the case with her friends. The man was sworn in but the woman, selected 12th, was not. Five alternate jurors were also selected Thursday but not sworn in, completing the list as testimony was expected to begin Monday. 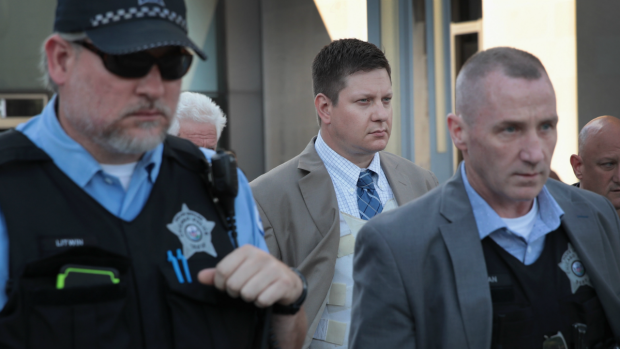 Potential jurors faced a series of questions from attorneys and a judge Monday, with four being seated so far in the high-profile murder trial of Chicago Police Officer Jason Van Dyke. Christian Farr reports. The defense team has not yet announced if they plan to seek a jury or a bench trial, which would leave the decision in Judge Vincent Gaughan's hands. The defense will have to make that choice by Friday, Gaughan said, giving defense attorney Dan Herbert one more day to decide which route he will choose. Three women and two men were picked for the jury earlier this week, while four women and one man were seated Wednesday. Attorneys sparred over race during the selection process Wednesday, as just one African-American juror, a woman who has worked for FedEx for 24 years, was seated in the case. Prosecutors accused Van Dyke's attorneys of trying to keep minorities off the jury, filing a motion arguing that the defense had illegally removed potential jurors on the basis of their race. Gaughan denied that motion. Members of a pool of 200 potential jurors have faced a series of questions from attorneys and Gaughan in the process, after filling out questionnaires the previous week and returning this week for one-on-one interviews with Gaughan behind closed doors. This has not been a typical jury selection process as the larger-than-usual pool of potential jurors faces heightened scrutiny. Gaughan has not yet ruled on motions filed by Van Dyke's defense team aiming to move the trial outside of Cook County due to extensive news coverage of the shooting, a topic potential jurors were believed to be questioned on. The judge said he would rule on that once questioning of potential jurors was underway, but exact timing was not given. Van Dyke entered a plea of not guilty. In August 2016, CPD Supt. Eddie Johnson recommended Van Dyke's firing to the Chicago Police Board, who granted a motion to halt the proceedings until the criminal case against Van Dyke was complete. He remains suspended from the department without pay. 11:50 a.m.: Meantime, Judge Gaughan is moving forward with jury selection today, Attorneys will select the four jurors who serve as alternates. 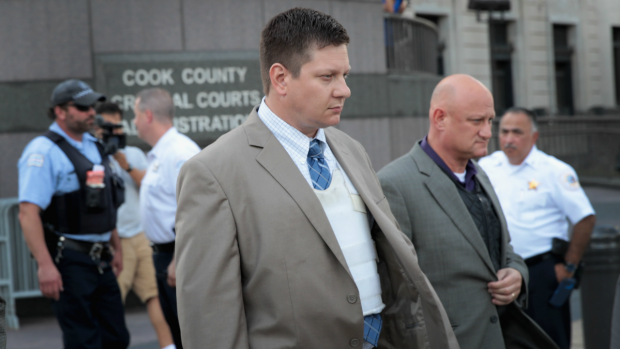 12:53 p.m.: Three alternate jurors have been selected in Jason Van Dyke trial. Only one more needed and jury is complete. Testimony is expected to begin on Monday morning, unless defense attorneys decide tomorrow to change to a bench trial. 3:43 p.m.: In all, 54 potential jurors were questioned over 2 1/2 days. 12 jurors and 5 alternate jurors were selected. In the 12 are 8 females and 4 males. Among the alternates are 3 females and 2 males.